Sky is a provider of television, broadband, and telephone services in the UK. It has over 11 million UK customers and is one of the most popular TV providers. Sky is known for products such as Sky Sports, Sky Movies, and On Demand and HD services. They also offer Sky Go so that customers can view Sky on any device at any time in any place. The downside of Sky is that all of their services add up, and the monthly subscription bill becomes extremely expensive. This is not ideal for most people, whether you are a group of renters or a homeowner family. Luckily for you, there are some steps that you can take to reduce your Sky bill. 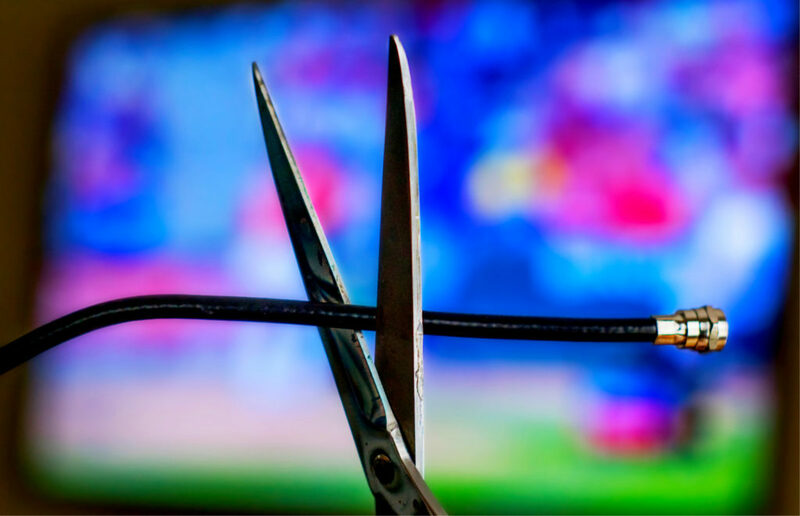 Follow this guide to cut the cost of your Sky TV. The first easy way to reduce your Sky bill is to get rid of any extras that you don’t actually use. There is no point in paying for additional channels that you never watch. This is called “downgrading” your account, but if you are no longer wasting money on a service that you won’t miss, then it’s more of an upgrade. Examples of services that you could chop from your package include premium channels and multi-room subscriptions. To do this, log into your Sky account. You can select “Manage my TV package” under the TV tab, which is in turn under the Manage tab. It will then show you a list of all the services in your package. Select the items that you no longer want and follow the instructions to remove them. If you don’t see a service that you want to delete or have any trouble, then you should call Sky on 0844 826 8012. You will have to enter the telephone number associated with your Sky account and then state the reason for your call. When you get through to a Sky adviser, you can discuss amending your TV package. If you can’t trim your TV package because you want to use everything that you have a subscription for, then check if there are any discounts available for them instead. Under the Manage tab in your Sky account, you should find an “Offers & Upgrades” option. Or you can check these direct links here and here to see if you have any special offers. If you are eligible for any, then there will be some cost-effective alternative packages available to choose from. You should read the terms and conditions of each offer carefully before you decide to swap to a discounted package. This will effectively be starting a new contract, so you are likely to be locked into it for a minimum of 12 months. If you are still in the minimum term of a Sky contract, then you might end up having to pay more to leave it. It is worth contacting Sky on 0844 826 8012 to get some advice on accepting a special offer contract before you do sign up. Some people might not have the guts to haggle, or might feel that it is undignified. But if you don’t try, then you don’t get anywhere. You can choose to continue paying sky-high Sky bills, or call Sky and attempt to whittle your bills down to a much more affordable price. It is best to do this towards the end of your contract, or after a price hike. You can cancel your contract 31 days before it is due to end, or decide to leave mid-term without penalties if this is within 30 days after a price rise. Do some research first and make notes of competitors with better offers for similar services. This will make you seem informed and more likely to leave Sky, which will make them work harder to keep you as a customer. When asking for a better deal, it pays to be polite. However, you should never accept the first offer. Ask to speak to the retentions team, as they will be able to give better discounts than customer services. Some haggling tips are to mention Freeview, better prices with rivals, or problems that you have had with your Sky package. You can ask to include bonus services for free if they refuse to slash prices. If you are not satisfied with their final offer, then you can say that you need to check with your spouse/roommate first and hang up. Call back later and try again with a different Sky adviser. Mention previous offers if you want them to build further on these. It might be risky, but if you are brave enough then you could call Sky’s bluff. Tell them that you are not happy with the cost of your service and the amendments offered, and that you wish to cancel your Sky services completely. If you are thinking of swapping to another provider anyway, then it might be worth a try to cancel and see if Sky tries to get you to come back. Many customers who are still unhappy after haggling receive huge discount offers to re-join Sky after they cancel. Generally the offer is for 50% off for a designated time, such as 12 months. You might receive offers from Sky in the post, through your online account, in the app, or interactive TV. Check all of these, as sometimes the deals will be different on each platform. If you live-chat with a Sky adviser about offers like this, you might even be able to haggle for some credit on top of the discount. It is best to cancel 31 days before the contract ends to allow time for Sky to contact you with retention offers. This is not a guarantee, so cancel at your own risk. You might want to consider swapping to the streaming service Now TV. Sky owns this, but its TV Passes are often cheaper than Sky and provide access to a lot of the same content. You can access Now TV on any device, and you can even sign up for a month-long free trial first. The Entertainment Pass costs £7.99 a month, similar to a Netflix subscription. This will give you access to several Sky channels including One, Atlantic, and Arts, plus channels like SyFy and Comedy Central. You will also be able to access around 300 television series boxsets. You can receive Sky Cinema for £9.99 a month, but it probably isn’t worth it, especially if you have Netflix or Amazon Prime. Their Kids Pass is only £2.99 per month, which is worth it to access a variety of entertainment for children, if you have any. However, the Sky Sports Pass is even more expensive than paying Sky directly for a Sports package. Overall it is worth cancelling Sky and paying £7.99 a month for a Now TV Entertainment Pass to access the main channels.